In healthcare marketing, it’s important to communicate the benefits of a product from an outcome-focused perspective in order to influence consumer behavior. When it comes to influencing the decision on healthcare choices, companies must engage with consumers and understand the factors that determine these critical choices. 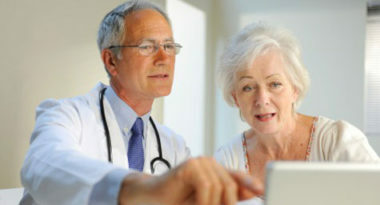 MediaPost.com offered insight on the best ways for healthcare marketers to engage with consumers and affect their decisions about healthcare paths and products. Today, consumers are in control of their healthcare choices, so brands must be ready to connect on the consumer’s terms in a way that encourages brand preference and influences a behavior change. One approach is to develop portable branded resources and distribute them at key points of engagement. This allows your brand to be in front of a consumer’s eyes at critical and relevant points in the healthcare decision-making process. The primary point of engagement is education, which is a multi-channel touchpoint comprised of informational resources in a variety of media. This content should encourage education and urge consumers to speak to their doctor about their health issues. It’s the first step in turning consumers into patients. The next point of engagement is the place of care, which is usually a doctor’s office. These locations offer many ways to convey portable branded and unbranded content in the waiting rooms and examining rooms, with the purpose of facilitating communication between doctor and patient. The pharmacy is the subsequent point of engagement through branded opportunities at the register, in displays, on kiosks, and even directly attached to the prescriptions. The final point of engagement is at home. Brands can help consumers stay on track with the treatment via value-added support through multiple channels. These points of engagement are designed to attain the most positive outcomes for both the brand and the patient while guiding the consumer through the healthcare journey. With this approach, brands become trusted sources of support that are ultimately rewarded by consumer support.